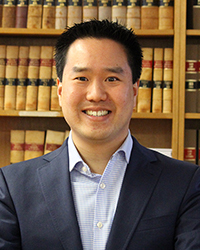 Stephen Tang is an interdisciplinary scholar who applies psychological theory and methods – especially from clinical psychology, experimental psychology and decision science – to understand and reform legal regulation, legal education and the legal profession. Stephen has led quantitative and qualitative empirical work on projects investigating the psychological wellbeing and mental health of law students and lawyers. His research has included extensive psychometric research investigating personal and institutional factors associated with improved and impaired wellbeing (with Anneka Ferguson and A/Prof Molly Townes O’Brien). Stephen is also involved in a multi-stage project on the development of ethical professional identity and capability in newly-admitted Australian lawyers (with Prof Tony Foley, A/Prof Vivien Holmes and Margie Rowe). With Prof Tony Foley, Stephen has been examining the positive role of uncertainty and ignorance in legal education and practice. He is also actively involved on research in emerging and interdisciplinary fields such as behavioural legal ethics, therapeutic jurisprudence, mental health law and empirical methods in legal regulation and evaluation. Stephen teaches in LAWS4260 (Law and Psychology) and in the Graduate Diploma in Legal Practice program, and actively supervises law honours students interested in interdisciplinary legal-psychological topics. In addition to his legal qualifications, Stephen holds a PhD (Clinical Psychology) from the ANU Research School of Psychology. His doctoral research developed a new psychological model of indecision and indecisiveness, informed by behavioural, psychophysiological and experimental studies. Stephen has previously worked as a legal and policy adviser in the Office of the Chief Psychiatrist in ACT Health and in other mental health legal policy roles. Stephen has also acted as a consultant to the World Health Organization on global mental health law and human rights, and previously worked as a commercial lawyer. Stephen is currently the Secretary of the ACT Branch of ANZAPPL (the Australian and New Zealand Association for Psychiatry, Psychology and Law). Stephen Tang, 'Mental Health Law' in the ACT Law Handbook (AustLII and Legal Aid ACT, 2018). Vivien Holmes, Stephen Tang, Tony Foley and Margie Rowe, 'Australian Legal Practice: Ethical Climate and Ethical Climate Change' in Ron Levy et al (eds), New Directions for Law in Australia: Essays in Contemporary Law Reform (ANU Press, 2017) ch 43. Vivien Holmes, Tony Foley, Stephen Tang & Margie Rowe, 'Regulating Lawyers' (2017) 91(5) Law Institute Journal 24. Stephen Tang, Being Well in the Law: A Guide for Lawyers (Law Society of NSW, 2016) (author/co-author of various chapters, with Tony Foley, Ian Hickie, Vivien Holmes, Colin James and Margie Rowe). Stephen Tang, 'Valuing Persons and Communities in Doing Wellness for Law Well' in Rachael Field, James Duffy and Colin James (eds), Promoting Law Student and Lawyer Well-being in Australia and Beyond (Routledge, 2016) ch 1. Tony Foley and Stephen Tang, 'On Being, Not Just Thinking Like, a Lawyer: Connections Between Uncertainty, Ignorance and Wellbeing' in Rachael Field, James Duffy and Colin James (eds), Promoting Law Student and Lawyer Well-being in Australia and Beyond (Routledge, 2016) ch 10. Vivien Holmes, Tony Foley, Stephen Tang and Margie Rowe, ‘Helping Junior Lawyers Thrive’ (2015) 89(9) Law Institute Journal 44. Stephen Tang and Tony Foley, ‘The Practice of Law and the Intolerance of Certainty’ (2014) 37 UNSW Law Journal 1198. Stephen Tang and Anneka Ferguson, ‘The Possibility of Wellbeing: Preliminary Results from Surveys of Australian Professional Legal Education Students’ (2014) 14 QUT Law Review 27. Molly Townes O’Brien and Stephen Tang, ‘Law School Too Hard? Why the Struggle Could Be a Good One’, The Conversation (23 September 2013). Tony Foley, Vivien Holmes, Margie Rowe and Stephen Tang, ‘Teaching Professionalism in Legal Clinic: What New Practitioners Say is Important’ (2012) 17 International Journal of Clinical Legal Education 5. Molly Townes O'Brien, Stephen Tang and Kath Hall, ‘No Time to Lose: Negative Impact on Law Student Wellbeing May Begin in Year One’ (2012) 2 International Journal of the First Year in Higher Education 49. Vivien Holmes, Tony Foley, Stephen Tang and Margie Rowe, ‘Practising Professionalism: Observations from an Empirical Study of New Australian Lawyers’ (2012) 15 Legal Ethics 29. Tony Foley, Vivien Holmes, Margie Rowe and Stephen Tang, ‘A Puppy Lawyer is Not Just for Christmas: Successful Transition to Professional Practice’ (ANU College of Law Research Paper, 2011). Molly Townes O’Brien, Stephen Tang and Kath Hall, ‘Changing Our Thinking: Empirical Research on Law Student Wellbeing, Thinking Styles and the Law Curriculum’ (2011) 21 Legal Education Review 149. Natalie Drew, Michelle Funk, Stephen Tang, Jagannath Lamichhane, Elena Chávez, Sylvester Katontoka, Soumitra Pathare, Oliver Lewis, Lawrence Gostin and Benedetto Saraceno, ‘Human Rights Violations of People with Mental and Psychosocial Disabilities: An Unresolved Global Crisis’ (2010) 378 The Lancet 1664. Kath Hall, Molly Townes O’Brien and Stephen Tang, ‘Developing a Professional Identity in Law School: A View from Australia’ (2010) 4 Phoenix Law Review 19. A national forum hosted by the ANU Legal Workshop and the Wellness Network for Law will reinforce the importance of wellbeing for those working in the legal profession and the need for systemic reforms, rather than Band-Aid solutions.